First off....ORTs!! 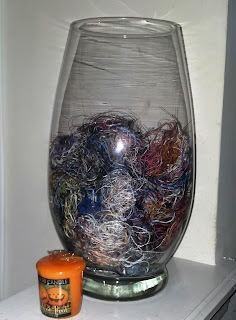 (Old raggedy threads) What did everyone do with their ORT jar from 2012? I took a picture of how full mine was, and I just couldn't bear to toss them...so I put them to good use! And voila....my finished little 2012 ORT pillow!! 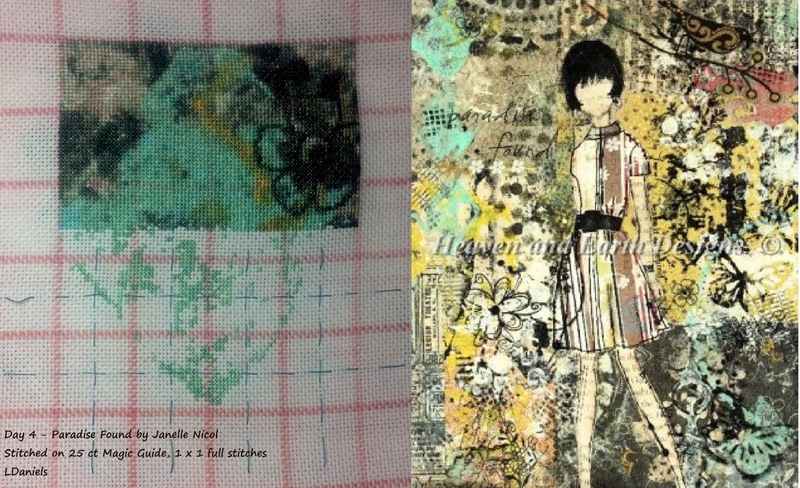 I used a scrap of dyed fabric and some DMC variegated floss and searched through various ABC books and this is what I came up with. Guess I'm starting a new tradition of ORT pillows!! Now for the....coffee!! Among all my wonderful Christmas gifts this year, my hubby gave me a Keurig (K-cup) coffee maker. It's one of those things I'd never get for myself, because I'm the only one that drinks coffee. But OH MY GOSH....I LOVE THIS THING!! I can't imagine how I lived without it before!! It came with a sample of coffee flavors, and hubby gave me another box of samples too. My new favorite is, Golden French Toast! The kitchen smells like maple syrup each time I brew it...sooo yummy!! 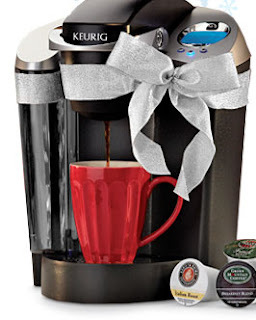 So, question for any of you that have a K-cup maker...what are your favorite flavors, and why? I'm on the hunt to try some new ones (because I'm obsessed with coffee now!) and I'd love to hear some suggestions! Oh right...this is a stitchy blog, isn't it? Some of my latest progress pictures, not in any particular order because it's been so long since I posted any updates! This is a great idea for the orts! I think I may steal it! I love your ort pillow. What a neat idea!!!! Your ort pillow is a fabulous idea! 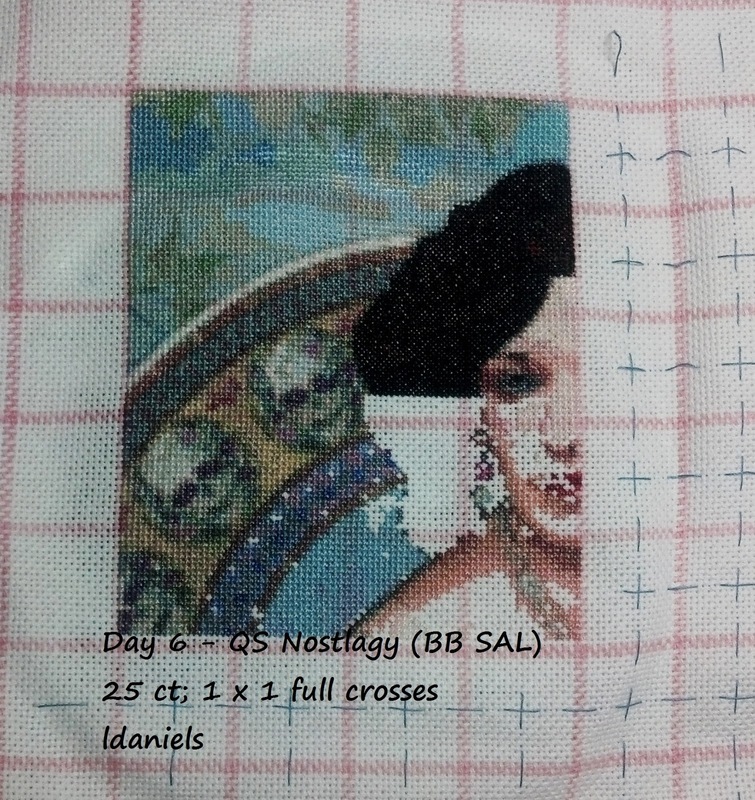 I love all your WIPs--great progress! Love the ORT Pillow idea! I stuffed all of mine in a clear ball ornament for my Christmas tree! Love the pillow. Love your WIP pieces. Sorry no suggestions about the coffee cause I don't drink coffee. You're so crafty! The ORT pillow is great! Middle Earth looks great and so does Paradise Found! I like the green colors. Gorgeous progress on your wips. I cannot believe how far you got with Nostlagy in six days. Great idea for your orts. Nice coffee maker. Middle earth is amazing ! You are so far with your HAED SAL ... puts me to shame. 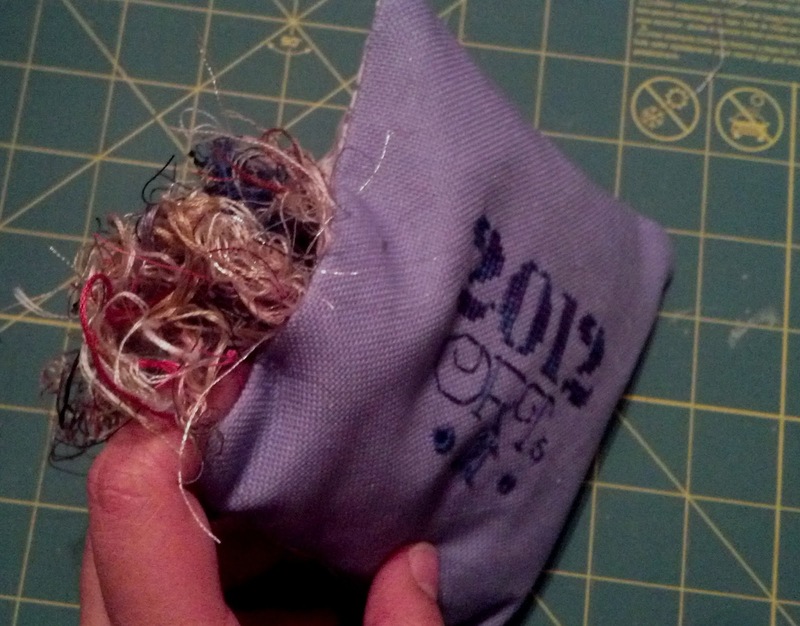 Well done on all the stitching, jar, stuffing, and coffee. 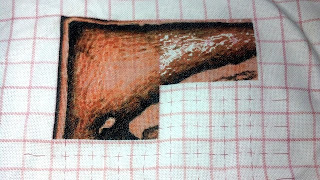 Don't know where I'd be without coffee (probably somewhere near stainless stitching - though it's tea I tend to spill rather than coffee so a little phew). Fabulous idea for the ORT's! Great progress. One of my favorite kuerig flavors is Gloria Jean mudslide. Yum! What a great idea for all those orts....I may be another one stealing this idea! Great progress on your stitching. Great progress on all your pieces Lesli. 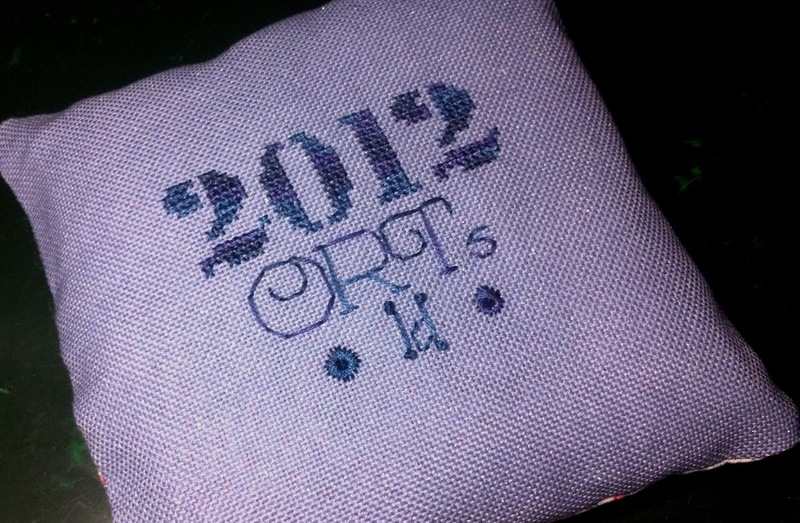 I love the little ort pillow. I don't drink coffee myself but my other half does, I bought him a Keurig for xmas last year and he just loves it and really its perfect for a home where not a lot of coffee is drunk. I love your idea for the orts, and think I'll have to borrow it! 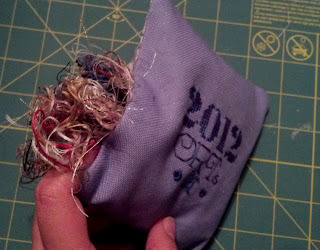 I'll have to sort through mine, I have a habit of throwing my old needles into the ort jar too.